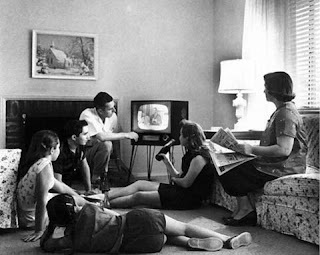 Classically Liberal: In defense of television. It was my intention, for sometime now, to post some comments in defense of modern television. But this blog tends to be a slave to the news. So Climategate got my attention, even though I preferred to look elsewhere. One of the laments of cultural conservatives is that the popular culture is on some sort of perpetual downward trend. I suspect that they thought from the first day they couldn’t stone fornicators anymore. Of course, by nature, a conservative is someone who inherently thinks the best is behind us; in the future they see only ruin. The natural state of the conservative is pessimism. To the conservative mind, change is inherently evil. This applies pretty much across the board. It takes conservatives an entire generation to accept change, but only the change that already took place before they were born. The conservatives of yesteryear were adamantly opposed to the civil rights movement. The conservatives of today have their peace with it and wouldn’t think of changing it. But the conservative only makes peace with the change of the past, never the change of the present day. And, of course, they apply this attitude to television as well. You will hear them lament the state of television. They will tell us how wonderful television used to be. And I confess having had such thoughts myself. But, what cured me of the idea that television was better in the past, was not the television of today, as much as rewatching the television of the past. It was awful. This is not to say that every show of previous decades is inferior to every show of today. That is not the case. But, on a whole, previous generations of television were pathetic. I felt a twinge of sadness when Soupy Sales died, I felt a big twinge of sadness when I watched one of his old shows as well. It was awful. There is a lot of talk about television dumbing people down. Just watch the old shows for examples. What is dumber than My Mother the Car? And if you want shows that appeal to the intellect, you won’t find many of them in the past. Even shows with some timelessness, such as The Honeymooners, or The Andy Griffith Show never dealt with issues of great importance or seriousness. Thinking was divisive and the old American networks didn’t want to court controversy. They played it safe and boring. Rob and Laura, or Lucy and Desi, may have had children by some miracle that went unstated, but they never shared the same bed. That was controversial. In the wonderful film adaptation of Kurt Vonnegut’s Harrison Bergeron they show Harrison, in a world of complete equality, learning television programming. He is taught to keep everything to the lowest common denominator, least anyone be offended. A clever line could only be clever enough to entertain the dullards on their couches so that all would enjoy it equally. Yes, today’s shows stir up controversy. But what is controversy? Something is controversial when it challenges what people accept. Controversy challenges the status quo. It stimulates debate and new thinking. It encourages contemplation and argumentation. It leads to new ideas. But again conservatism tends to fear new ideas because new ideas lead to change. Hayek wrote: “Conservatives feel instinctively that it is new ideas more than anything that cause change.” But, to cling to old ideas means no stimulation of the mind. It leads to mindless entertainment. This is not to say that every show today stimulates thinking. They do not. There are some that are so mind-numbing that even the most fearful conservative can could enjoy it. But there are others, which you couldn’t have seen 30 or 40 years ago. Consider the crime show Bones. FBI agent Seely Booth is no intellectual. Yet the team of forensic anthropologists he has to work with are highly intelligent. Booth calls them “squints,” partially out of being intimidated by their intellects. His counterpart is Dr. Temperance Brennan. Brennan is Spock on steroids, a confirmed rationalist who uses historical analysis and science to inspire her views on most of life. This contrast inspires much of the dialogue between the two main characters. Booth and Brennan regularly disagree about sexual morality, the existence of a deity and such matters. It is the only show I know of where the main character is an open atheist who defends her position. What is fascinating is that this is one of the top-rated show on Fox. The film Pleasantville captures a great deal of what I mean. Brother and sister characters, David (Toby Maguire) and Jennifer (Reese Witherspoon) mysteriously are transported from the life they lead into the reruns of an old black and white sitcom called Pleasantville, a Leave-It-To-Beaver kind of place. Nothing controversial happens in Pleasantville. Life revolves around exciting things like a cat stuck in a tree. The world is black and white; there is no change. There are no new ideas; even the books have blank pages. It is a conservative utopia. The two time migrants turn the entire world of Pleasantville upside-down. The sameness disappears, individualism emerges, conflicts appear and the town is plunged into debate. Passions arise, abilities develop, people purse their own happiness. People begin to think, to actually think. Real drama emerges. Modern television had done something similar. It didn’t just move from black and white to color. It moved from a dull sameness to one of abundant choice, where issues are dramatized and thus debated. From a purely entertainment perspective things have improved vastly. But from an intellectual perspective the changes have been even more profound. And I think it should be applauded. Facts: Here are some facts showing how television has evolved and how various issues are debated openly which previously had been hidden from view. The first show focusing on the moral conflict of abortion was Maude in 1972. The first use of the word condom was in a 1987 episode of The Hogan Family. The first made-for-television film about a gay character was That Certain Summer in 1972 while the first recurring gay character on a televison show Jodie Dallas (Billy Crystal) in Soap, 1977.
posted by blog owner at 12/08/2009 09:17:00 AM DiggIt! Reddit Del.icio.us Slashdot It!